NASA’s Dawn spacecraft has revealed unexpected details on the surface of the giant asteroid Vesta. 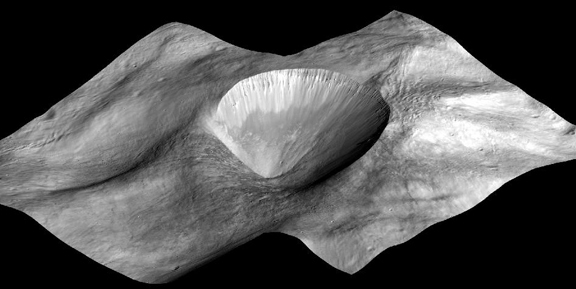 New images and data highlight the diversity of Vesta’s surface and reveal unusual geologic features, some of which were never previously seen on asteroids. To view the new images, visit: http://www.nasa.gov/dawn. Dawn’s mission is managed by JPL for NASA’s Science Mission Directorate in Washington. 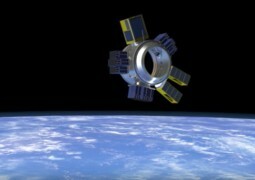 Dawn is a project of the directorate’s Discovery Program, managed by NASA’s Marshall Space Flight Center in Huntsville, Ala. UCLA is responsible for overall Dawn mission science. Orbital Sciences Corp. in Dulles, Va., designed and built the spacecraft. The German Aerospace Center, the Max Planck Institute for Solar System Research, the Italian Space Agency and the Italian National Astrophysical Institute are international partners on the mission team. JPL is managed for NASA by the California Institute of Technology in Pasadena.